When you mention Lyme disease (Multiple Systemic Infection Disease Syndrome) you are met with either blank stares, or a multitude of misconceptions including that the disease doesn't exist in Australia. With so many myths surrounding this condition, we wanted to bring you the facts to dispel this confusion and bring awareness of a condition that is so often overlooked and misdiagnosed. Lyme Disease is called the 'Great Imitator' as it mimics many other diseases such as MS, Chronic Fatigue Syndrome, Lupus, Parkinson's disease, Motor Neurone Disease (ALS), Fibromyalgia, Guillain-Barre Syndrome, Juvenile Rheumatoid Arthritis, Alzheimer's disease and more. It can affect any organ in the body including muscles and joints, the heart, gastro-intestinal system and the neurological system (including the brain) and it's four times more prevalent than AIDS. Although Lyme disease was officially identified in 1975 in the Town of Lymes (USA), it was recognised in Europe much earlier. It's an infection caused by a Spirochete (Borrelia Burgdorferi bacteria) transmitted from the bite of ticks infected with this bacteria. Borrelia has at least 18 different species. While it is commonly believed that ticks are responsible for human infection, there is now strong evidence suggesting that other 'biting' organisms can also cause infection. As well as Lyme Disease, ticks can transmit other diseases (co-infections) such as Babesioisis, Bartonella, Ehrlichiosis, and Mycoplasma to name a few. Symptoms present themselves in various stages. They may be constant or intermittent and usual treatments are not effective. If not properly treated at the earlier stages it may lead to chronic lifelong disabilities. Initial symptoms begin with the development of an itchy rash (erythema migrans) appearing after the tick bite and this rash then spreads out to form a bulls-eye pattern. This pattern, which may also appear on other parts of the body, is a distinctive characteristic of Lyme disease. In some instances there may not be any symptoms or they may only appear weeks or months later and be mistaken for the flu. Be aware of any unexplained headaches, fatigue, neck and muscle soreness or fever during this time that is aided with normal medication. Later symptoms of Borrelia infection may include arthritic type symptoms such as swelling, circulation problems, joint pain, paralysis (temporary) of facial muscles, shortness of breath, numbing and weakness in your hands arms and feet. Memory loss, respiratory problems and meningitis may also occur weeks, months and sometimes years later, after an infection, if not treated. This stage is also known as 'chronic Lyme disease'. Some other co-infections, which may present are Babesia Infection, with the main symptoms being fatigue, neck and back stiffness and Bartonella infection produces more neurological symptoms (like MS). It's important that you seek treatment as soon as possible. Write down any symptoms you have and make your medical practitioner aware of the possibility of Lyme disease so that proper tests can be carried out. While infections can hide within cells and are not always detected in a blood (serum) test, a urine test can detect infections. The best test to confirm Lyme disease is to undergo a challenge test. Resolve Health and Wellness is a practice that is Lyme disease 'literate'. As Lyme disease can present in individual ways we take a very personalised and holistic approach. We focus on nutrition, supplement with herbals and also use Bioresonance Therapy, a non-invasive, gentle therapy that uses biophysics - the physics of your body, to improve your overall immunity. When it comes to treatment, antibiotics are often prescribed with different antibiotics required for each infection. This can deplete an already damaged immune system and many patients also need gut repair and an extensive detox, to recover from a cocktail of prescriptions. Are you concerned about Lyme disease or have any questions you need answered? Call us today on (07) 5525 2211. Could you be suffering from a food addiction? Often when we think of additions smoking, alcohol and illegal drugs come to mind. But some of the most common addictions can be found in our daily diet, and they can be doing your body serious damage. With eating being such a normal activity it's hard to believe people can become addicted to food. Yet the cycle of addiction can still take over, making everyday life a constant struggle because of the effect it has on the brain. Since the first step to overcoming an addiction is to acknowledge there is a problem, here is a list of the common foods, substances and habits that can be addictive and destructive to your health. Caffeine is a stimulant that affects the central nervous system, and it can make you feel more alert by blocking the message that tells your brain you are tired. An often sought after effect in our overcommitted and overscheduled lives. While many people find the effects of caffeine enjoyable, for some, it can induce anxiety, depression, restlessness, nervousness, insomnia, and muscle tremors. The addictive nature of caffeine is evidenced by the effects of withdrawal such as headaches, changes in mood and sleeplessness. To determine if you are addicted, look at how regular you are having caffeine and why you are having it. For example, do you have a morning coffee as a ritual or are you having multiple cups daily to help you get through the day? Sugar can be extremely addictive, and consuming a lot of high sugar foods can actually change an individual's brain chemistry to the extent that they can experience withdrawal symptoms if they don't keep eating them. The taste of sugar releases endorphins that calm and relax us, and offer a natural "high”. While a little bit of sugar is fine, too much can be detrimental to our health and these days with so much sugar included in foods it can be harder to know if you are having too much. One way of knowing if you are becoming addicted to sugar is by needing a “quick fix” to get you over the afternoon slump each day or when you find you are starting to crave it. Energy drinks are becoming very popular particularly with younger people. While they are advertised as aids to increase energy, concentration and alertness, they contain three to five times more sugar than ordinary soft drinks. With ingredients such as caffeine, sugar, taurine (increases the effect of caffeine) and guarana (acts as a stimulant and increases the metabolic rate), the overuse of energy drinks can have similar effects as caffeine with effects on the heart being a real concern. Over consumption of these drinks can prove a real threat to health. Food additives are substances added to food to preserve flavour or enhance its taste and appearance, and they are added to most of the food we consume. While some additives are natural, many more are artificial. Being manufactured they can produce allergies or other health risks for others. Some additives have been found to increase children’s levels of hyperactivity and some colours have been found to be problematic to children. Other reactions can include hives, diarrhoea and other digestive disorders and for some a more serious reaction that affects the respiratory system such as asthma. This is why we are being warned to read the labels and identify what additives (colouring, flavour enhancers, acids, stabilisers, sweeteners etc.) are in the food we buy and eat. More and more research is showing that fast food as well as highly processed food can be addictive. The fats and simple sugars can act on the brain in the same way as nicotine and heroin. The ongoing stimulation to tasty calorie-filled foods may in some cases desensitise the brains wiring. Scientists are finding that just like drug taking, it takes more of the fatty foods to provide the same “high” because it can cause changes to the brain and the body that sends the message it needs more. Although sugars and fats have been in our food for a long time, processed food has concentrated levels of fats and sugars without the fibre or nutrients so there is no healthy balance. So, maybe it’s time to revaluate some of your food choices and eating habits to make sure it is for the right reason and not due to an underlying addiction? These toxins cloud our system; they make us tired, fatigued and more susceptible to allergies, sickness and over time, disease. To prevent this from happening and to help your body function more effectively and efficiently, regular detoxing is essential. To get you started, here are six detoxing tips to get you feeling your best and your body working at its best. Start each day with a glass of freshly squeezed lemon juice in warm purified water. It aids digestion, enhances liver detoxification, cleanses your system, boosts your immune system, balances your pH levels and aids in weight loss among other benefits. Don’t throw away the peel either, add the zest to salads and other meals to further the detoxification process. Loaded with antioxidants, green tea will help neutralise toxins in your body. With a small level of caffeine, it will also help you manage those tough coffee withdrawals while you are detoxing. There are so many fruits, vegetables and “superfoods” that have incredible detoxing benefits. Almonds, avocado, artichokes, beets, blueberries, broccoli, cabbage, chlorella, cranberries, lemon, garlic, onion, radishes, spirulina, and seaweed are all excellent detoxifying foods to add into your diet. Water is vital for our body’s health and wellness. Among its many health benefits, water helps your body flush out toxins and allows your cells to take in nutrients and expel waste products – so drink up! Add some fresh coriander, dandelion root, burdock, fennel and milk thistle to your meals, not only do they have excellent detoxing qualities, they’ll give your food great flavour. While there are conflicting views on whether exercise does help with the detoxifying process, exercise is proven to prevent many life-threatening conditions, improve your muscle strength and joint function, boost oxygen and nutrient supply to all the cells in your body and expel toxins through sweating. For this reason it’s certainly a good idea to add exercising into your detox program. Do you detox regularly? Have you found its made a big difference? Is the cure for your child's behaviour in their diet? With an increase in the diagnosis of behavioural and learning difficulties like ADHD, ODD (Oppositional Defiant Disorder) and CD (Conduct Disorder) and an increase in processed and packaged foods, it’s hard to look past the fact that these two may be linked. More and more research is suggesting that allergies and intolerances play a large role in children’s behavioural problems. To ensure you are informed, here are some of the common foods and food habits that might be causing behavioural issues in your children. Sugar is a given. While you may limit the intake of sugary foods like chocolate, ice cream, cakes and soft drinks, what many parents don’t realise is that sugar is a common ingredient in many other foods children have on a regular basis. Fruit juices, some cereals and many packaged kids snacks all contain high amounts of sugar. While the obvious behavioural reaction to sugar is hyperactivity, it can also cause children to become irritable, angry and tired. With so many additives, preservatives and colours being added to the foods we eat, these can often be harder to avoid then sugar. This is why it pays to read the label of the food you are buying, particularly when it comes to snacks for your children. If you can’t understand what you are reading chances are it will be an additive or preservative. Research has shown additives can cause hyperactivity, irritability and learning difficulties in children, affecting their ability to concentrate. Salicylates are chemicals that occur naturally in most fruits, particularly oranges, berries, apricots rockmelons and plums. They also occur in vegetables such as corn, tomato, gherkins, button mushrooms, radishes, olives, capsicums and cucumber. As well as wheat, milk, soy, eggs, chocolate, dried fruits, honey, liquorice, peppermints and chewing gum. Salicylates have been known to create intolerances and can cause irritability and restlessness. This destructive food habit can have a huge impact on a child’s behaviour, particularly if it is breakfast. With most children sleeping for 10-12 hours this is a long fast without food. Blood sugars can be depleted and with limited energy, they can become irritable, tired, disruptive and moody, not to mention struggle to concentrate. Breakfast and regular eating corrects this and helps the body to function properly. 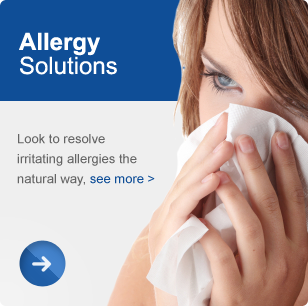 While we often associate rashes, digestive issues and anaphylactic shock with allergies and intolerances, symptoms can also show through behaviour. A food allergy or intolerance upsets the system of the sufferer, which also changes their behaviour. The real challenge is though with many of the foods and habits causing similar behavioural reactions it can be hard to know which one is the true cause, or at least a contributing factor. The only way to really discover which chemicals or foods could be responsible is to do an elimination diet, and speak with your medical practitioner to organise allergy testing. That frustrating behaviour might be a quicker fix than you thought! Have you found certain foods set off certain behaviours in your children? When your body is suffering from a food intolerance and is not running at its best it will start to give you signs. But the trouble is, many of these signs can be put down to stress, tiredness, a bout of sickness or another condition, leaving many people suffering for months if not years undiagnosed. In fact a study, carried out by food intolerance website Foodintol, found that 42 per cent of people who have a food intolerance experience symptoms for more than five years before they realise they have the condition and seek help, and 28 per cent live with symptoms for two to five years. To ensure you don’t become one of these statistics, here are four signs that you might have a food intolerance and what you should do if you are showing them. While we normally get our energy from food, if you are regularly eating a food that you have an intolerance to, it can have the opposite effect. With your body working hard to fight what it sees as a threat, you can be left feeling tired, fatigued and continually exhausted. With tiredness and exhaustion easily put down to a busy lifestyle, sicknesses or other condition, it can be hard to identify this as a new and different symptom. But tiredness and fatigue will often be one of the first warning signs that you have a food intolerance. This is perhaps one of the most common signs of a food intolerance, typically to gluten (celiac disease), lactose or fructose. If you do find yourself having gas, bloating or diarrhea, particularly after eating, it may be due to a food intolerance. When your body has a food intolerance it can find it hard to digest the food in question causing you to have constipation. If you do find you suffer from chronic constipation even despite drinking the required amount of water and having a high fibre diet, a food intolerance could be the cause. Headaches and migraines can often be associated with certain food chemicals. MSG, preservatives, artificial colours and even whole foods can be responsible for triggering chronic and severe headaches and migraines. While pain killers can certainly ease the issue, changing your diet and getting tested for potential intolerances could drastically reduce your systems or cure your headaches altogether. While many of these signs and symptoms can be caused by other factors and conditions, it pays to at least rule out a food intolerance before you go on to treat anything else. Here are three ways to do this. Keep a food diary of what you eat for a couple of weeks and write down when your symptoms present – can you see any pattern? Food intolerances are normally caused by a reaction to a central allergen like dairy products, wheat and wheat products, food additives, chocolate, citrus fruits, corn, eggs, oats, nuts, gluten, yeast or glucose. If you do suspect a certain food, try eliminating it from your diet to see if your symptoms improve.